Died: 21st December 1914; age: 37; KiA – Allonagne. Hit and killed instantaneously – next to Lieut. C. Catchpole who saw him fall. 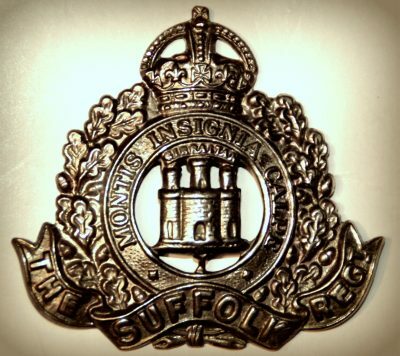 Enlistment Details: Location: Ipswich; Date: 17th October 1914; Occupation: Labourer. Brother to WILLIAM CHARLES D. DIXEY. 1881 22, Navarre Street, Ipswich. Daniel was 3 years old and living with his parents & siblings. Daniel Dixey, 26, a Cabinet Maker, born Maldon, Essex. Phoebe Dixey (nee Rivett), born Kirton, Suffolk. Emma Dixey, 2, born Ipswich. George Dixey, 11 months, born Ipswich. 1891 15, Navarre Street, Ipswich. Daniel was 13 years old a Machine Minder – Printers. He was living with his parents & siblings. Daniel, 36, a Cabinet Maker. Phoebe Florence Dixey, 5, born Ipswich. William Charles Dixey, 3, born Ipswich. Bertha Elizabeth Dixey, 1, born Ipswich. 1911 5, Portman Road, Ipswich. Daniel was 33 years old, a Painter’s Labourer. He was married and Head of the Household. Alice, 29, worked at a Corset Factory. Daniel Dixey, born 1904, Ipswich. Elsie May Dixey, born 1905, Ipswich. Charlie Dixey, born 1907, Ipswich. Irene Dixey, born 1912, Ipswich. Soldiers’ Effects to Mrs. Alice Elvina Dixey – widow. 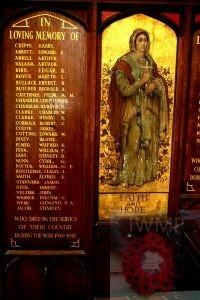 Daniel is also remembered on the war memorial at St. Nicholas Church, Ipswich, and also remembered on the Orwell Works Memorial Ransomes Sims & Jefferies Ipswich.